Black holes are amazing and scary at the same time. Once you get to know them, they will seem out-of- this world. A recent image captured at the Atacama Large Millimeter / submillimeter Array (ALMA) Observatory demonstrated that we’ve been completely wrong about how Black holes manage to grow so large. An international group of astronomers observing black holes with ALMA took this photo of a super-massive black hole, almost 300 million times the size of our sun, right in the middle of a massive meal. 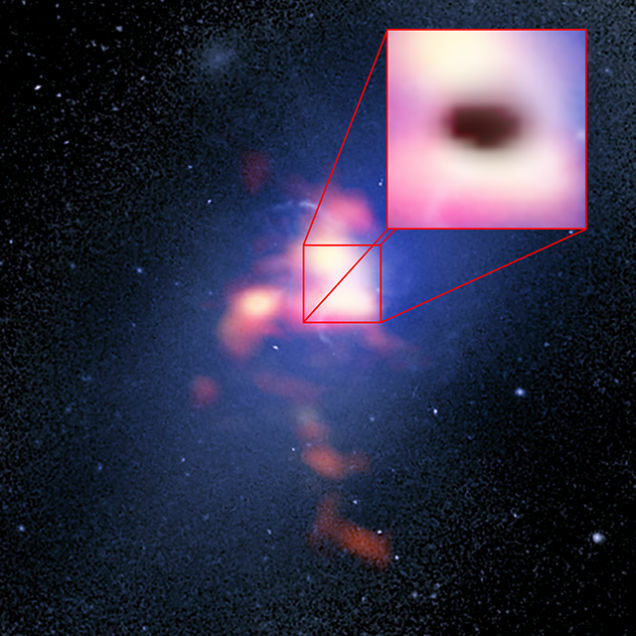 This incredibly rare image (below) shows the black hole in the course of swallowing three massive clouds of cold gas—each one of these clouds contain more material than a million suns and they are moving at speeds of 800,000 miles per hour. Previously, black holes were thought to feed exclusively on a gentle, stable diet of hot gases that surround them. It is still considered to be the main tactic that black holes feed themselves. But through some strange way black holes achieve to increase their sizes that are much larger than that method would currently suggest. So astronomers came up with a strange theory. Under some rare circumstances, black holes go into a feeding frenzy, where they actually consume massive amounts of giant, cold clouds of gas. And now this photographic proof appears to show that it’s an actual occurrence. But still, a question remains, how common this method actually is? This feeding frenzy probably occurs under very definite weather conditions—like the ones shown when the photo was taken. 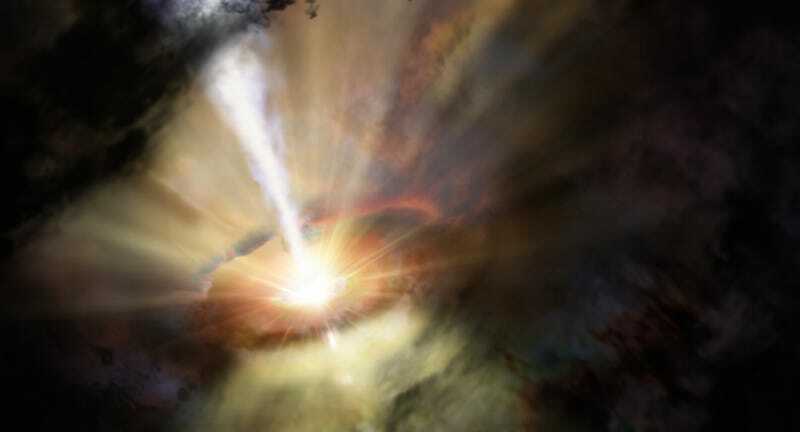 Up to now, only those three huge clouds of cold gas have essentially been observed feeding a black hole. Still, astronomers consider that there might be as many as thousands of alike clouds nearby this specific black hole alone, ready to be consumed when the time is right.